In the studio this week we have been refreshing our office decor to showcase the creative new portfolio work we’ve been producing for various clients. 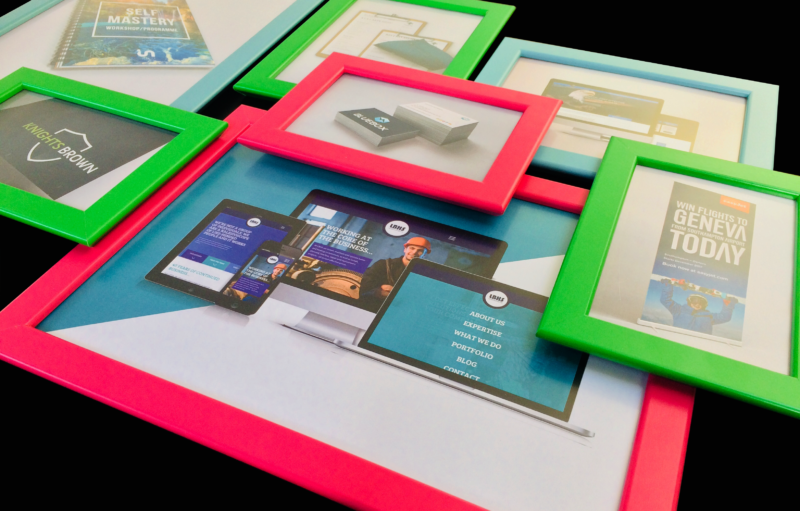 We like to keep our bright frames up to date with the work our designers have been creating in order to show off the versatility of the work we produce and the services we provide. We have been working on digital design, not only providing great artwork and layouts for our clients sites but also offering our extensive copywriting service (we’re the whole package!). In addition we’ve produced a huge range of print based work, from rebranded stationery and business cards to exhibition banners.